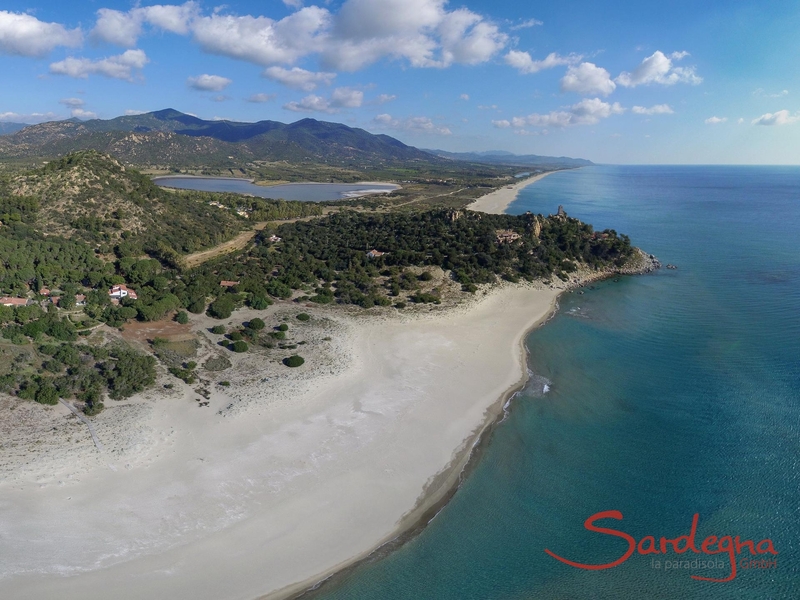 Torresalinas is a pretty holiday resort on the south-east coast of Sardinia. The group of holiday villas is located directly on the sea, harmoniously embedded in nature. 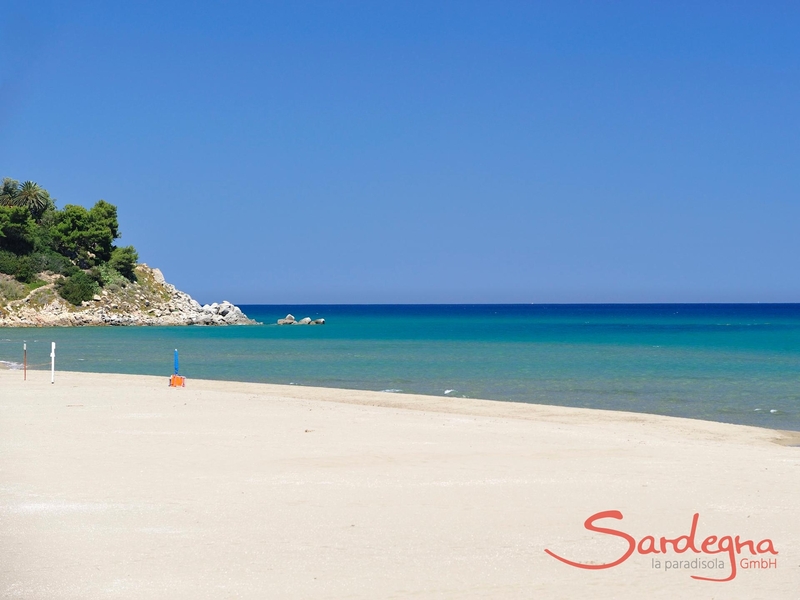 The expansive, sandy beach offers unadulterated relaxation, the finest bathing pleasure and abundant opportunities for romantic strolls along the seafront. A special feature is the beautiful ochre-xxxed sand: it is interspersed with fine black crystals and lends the beach a unique atmosphere. From Torresalinas, it stretches through Colostrai to Ferraxi and the cliffs of Capo Ferrato. For everyday supplies, there is a small supermarket with pizzeria in Torresalinas itself. Two kilometres away in San Priamo, gourmets can enjoy haute cuisine in an upmarket restaurant, whilst fish lovers are spoiled for choice in Villaputzu, located 12 kilometres away. 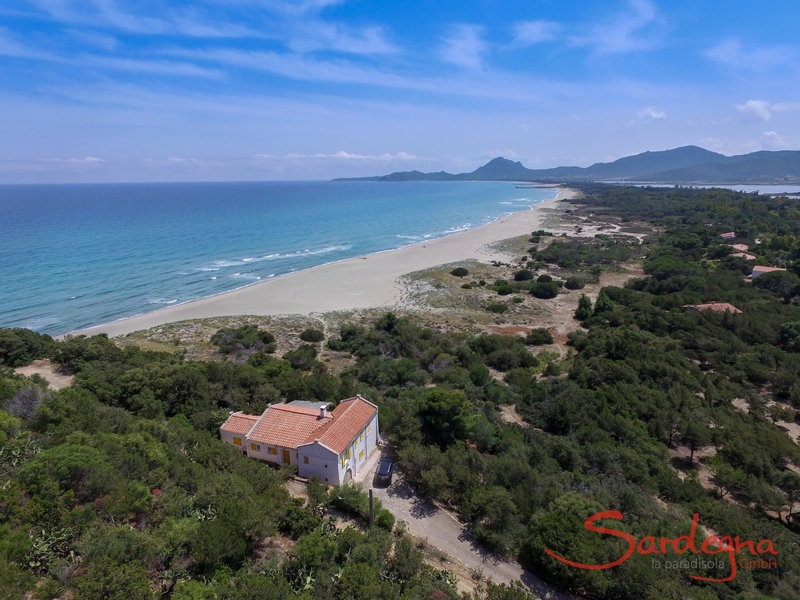 The bustling Costa Rei is also just 15 minutes’ drive away – perfect for everyone who wants to combine the idyllic peace of Torresalinas with a little activity and excitement. 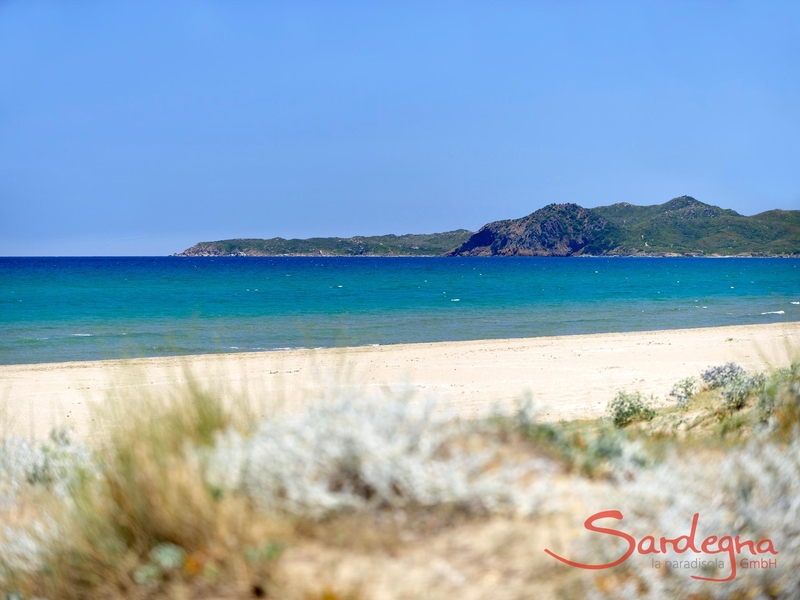 Stagni are what Sardinians call their protected lakes directly behind the coastline. 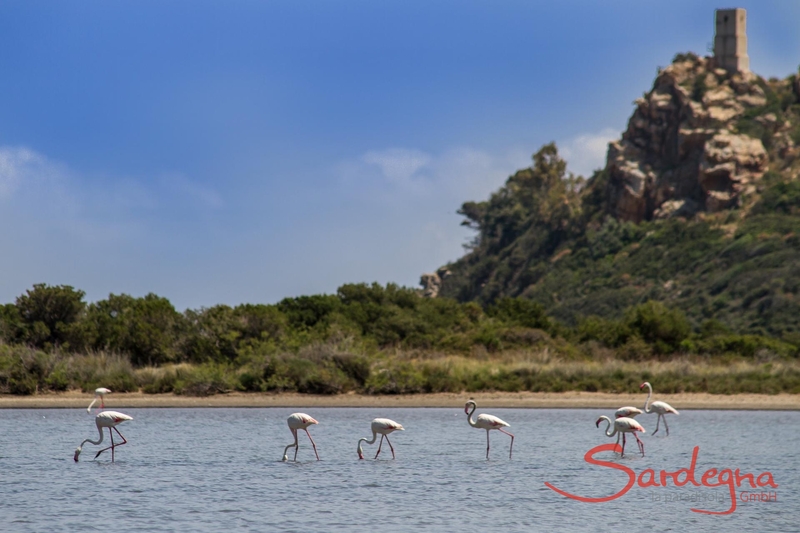 Flamingos, cormorants and other endangered species of birds flock here to spend the winter. The nature reserves enjoy special protection status and thus offer a unique shelter for indigenous flora and fauna. The ruins of a stately castle are a hike away from Villaputzu. A pretty, but steep trail through the serene vegetation of The Sarrabus leads to the ruins of Castello di Quirra, which dates back to the 13th century. Once you’ve reached the top, all that's left to do is exhale. 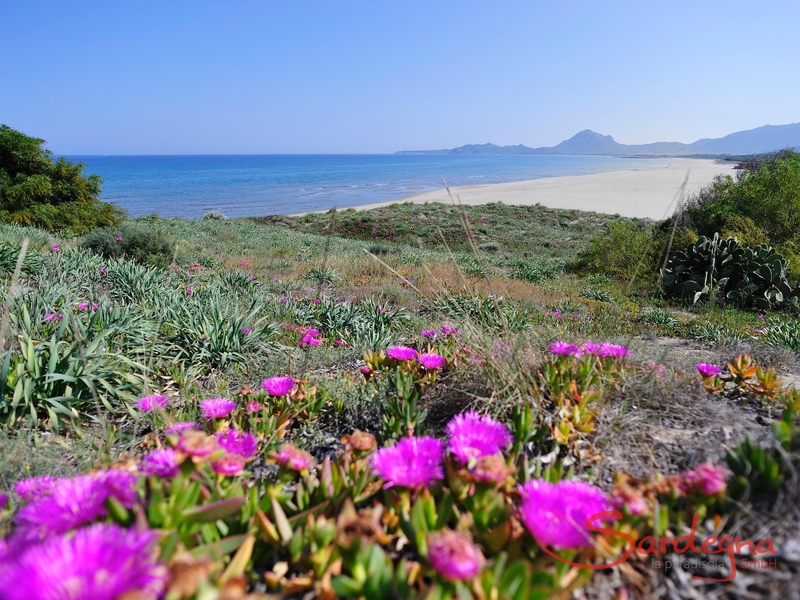 Immersed in complete silence, hikers can enjoy a breathtaking panoramic view of the sea and the stunning inner land.